NEVER DARK has been committed to generators since 2005. We were one of the very first Elite dealers in the state of VA as recognized by the manufacturer. NEVER DARK WHOLE HOUSE GENERATORS, our name says it all. We are licensed electricians but we no longer do anything besides generators. We don’t install ceiling fans one day, wire an addition the next day and then “hey look were doing a generator today”. We do generators every day, from sales, installation, service, as well as all factory warranty work. Generators have become extremely popular with home owners in the last couple of years. So what happens when demand for a product increases? Everybody and their grandmother starts selling them. From every electrician to even heating and air guys now sell generators. They all jump on the bandwagon to make a quick buck, but are they truly committed to generators. Are they going to be there for you at 2am during a storm, if they even have the parts on hand. Will they still be doing generators 2 years from now? Will they still be in business 2 years from now? 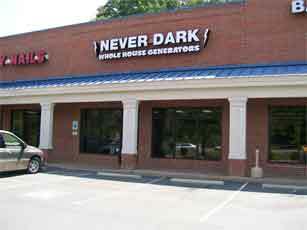 Never Dark is one of the largest generator companies with two locations to serve you. We will be doing generators for many years to come. 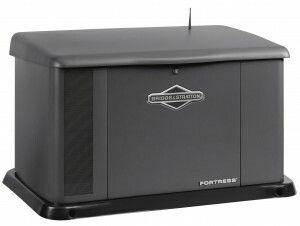 We sell only Generac Guardian series , and Briggs & Stratton automatic standby generators. The top 2 brands in the USA. 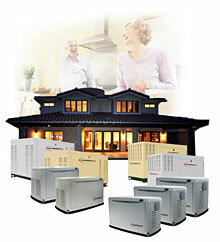 We meet with you to customize a generator that best fits your needs, as well as your budget. Generators have made substantial gains with technology just like your phones and tablets. NEVER DARK stays up to date with all the latest technology with the Smart transfer switches, load sharing, load shedding and modules. This technology allows us to use smaller generators to power larger loads unheard of not long ago, saving you, the home owner $$$. NEVER DARK stocks all of these switches and modules so we can custom design your generator system. We give you a turnkey price, with no hidden costs. This allows us at NEVER DARK to help keep your home, belongings, and family safe during a prolonged power outage. We are the contractors. We do it all from start to finish, no need to deal with 3 or 4 contractors. You work directly with us .We come out to your home for a free, no obligation site survey to give you all your options from providing back-up power to the whole house, or to just essential circuits, such as water, heat/AC, refrigerator, lights etc. and it’s installed just as promised, The NEVER DARK. team will show up on your installation date and will proceed with your custom installation. They know exactly what they are doing. You will not see one of the techs out under your tree reading the installation manual like we have heard of about other companies. At your installation the installers have a check list for you at start up to ensure that you understand everything and answer any questions that you may have. This check list also has a place at the bottom for comments. The most common comments are “work like a well oiled machine” “best crew we have ever had work on our home” “very courteous and polite, professional installation”. a typical installation only takes one day, saving you valuable time. NEVER DARK will never do an installation without a county or city building permit. All systems are inspected, we meet with the inspector for the final inspection and we are happy to go over your start up with you again or answer any other questions you may have thought of since the installation day, or of course call us at any time with a question. Generators are not a small part of our business like most electricians. GENERATORS ARE OUR BUSINESS. We have installed thousands of systems. Not 10 or 20 or even a 100 but THOUSANDS. NEVER DARK was one of the very first ELITE dealer in the state of VA. ELITE means factory trained technicians on staff, as well as most parts in-stock. Anyone can sell you a generator, but you need service and warranty after the sale. We are your local factory authorized warranty dealer. 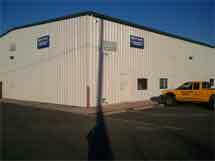 We provide all factory required maintenance with preventative maintenance agreements or as a on call yearly maintenance. 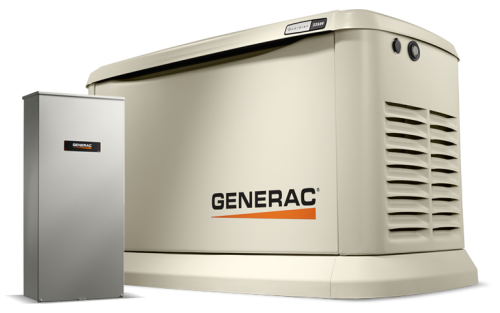 As your Generac / Guardian Series or Briggs & Stratton / (GE) generator is there when you need it, NEVER DARK is there for any type of service work that might need to be done. We want you to be sure that when you are in need of your standby power, you and your family are NEVER DARK.